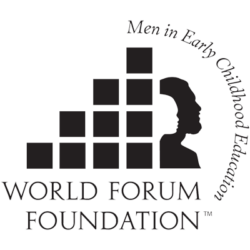 The following resources include current projects, conversations and articles addressing the value of gender balance in early childhood education, shared by the Working Group on Men in Early Childhood Education. Leadership requires a strong understanding and ownership of one’s identity: grounded in courage, confidence, and unfettered willingness to engage in collaboration. Considering a uniquely male perspective brings strengths and opportunities for growth to the Working Forum on Design and Nature. What are just a few examples of male characteristics that benefit children?